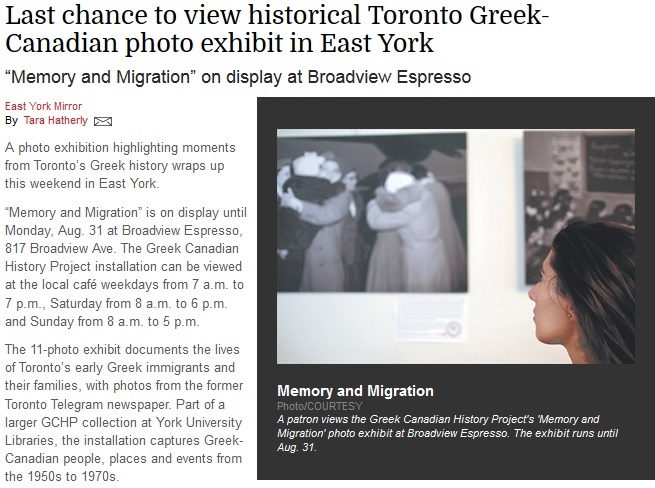 The GCHP is delighted to announce that the exhibit, “Memory and Migration,” appearing at Broadview Espresso, was chronicled today by the East York Mirror . Read all about the “emotionally intense and life-changing experience” that ten students and one Professor from the Aristotle University of Thessaloniki experienced during their archival visit to the Greek Canadian History Project at York’s Clara Thomas Archives & Special Collections. 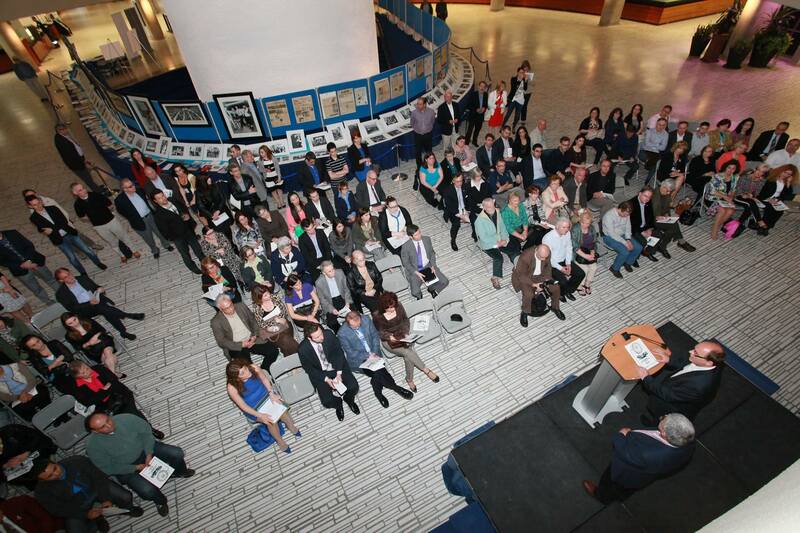 GCHP Exhibit at Toronto City Hall gets GTA coverage! 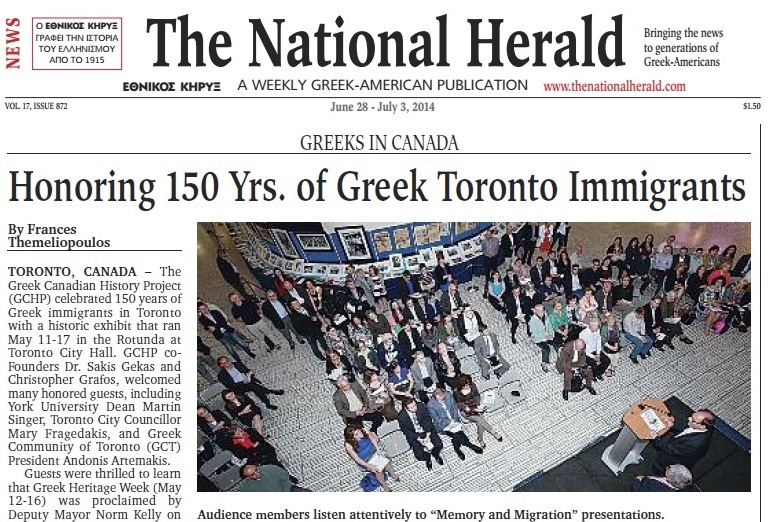 The GCHP exhibit “Memory and Migration: A History of Greeks in Toronto” was featured online and in community magazines and newspapers in Toronto and the GTA! 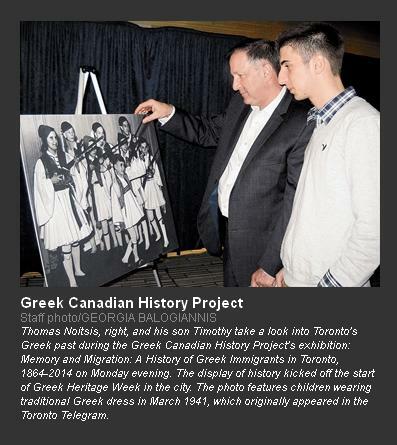 See what insidetoronto.com had to say: “Greek Canadian History Project’s exhibition examines Greek immigration in Toronto”. 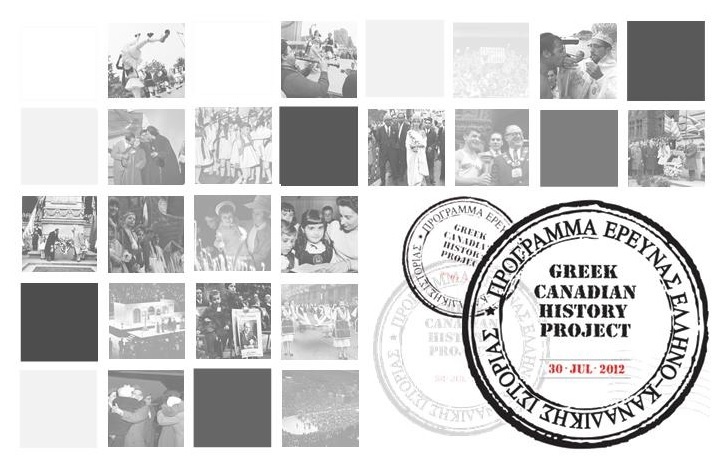 The GCHP exhibit, “Memory and Migration: A History of Greeks in Toronto” made university news through York University’s online magazine “Y-File”. 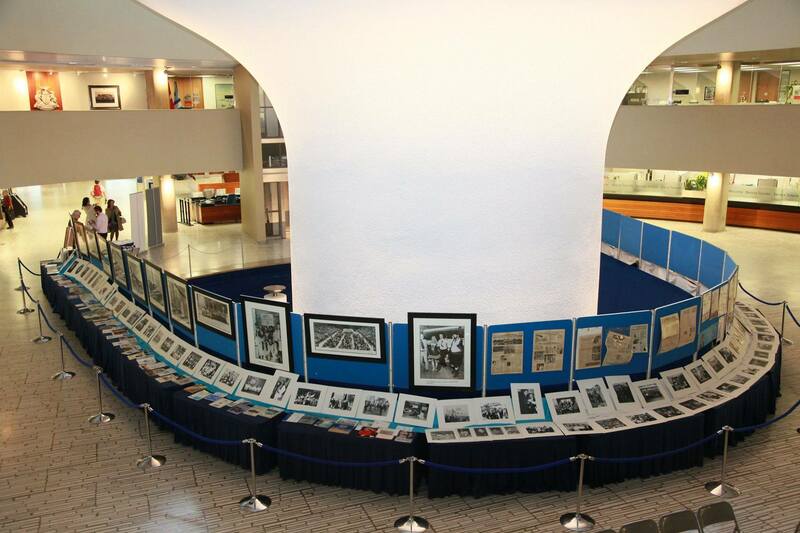 Read about the exhibit and the broader aspirations of the project: “Memory and migration: Display documents the history of Greeks in Toronto”. 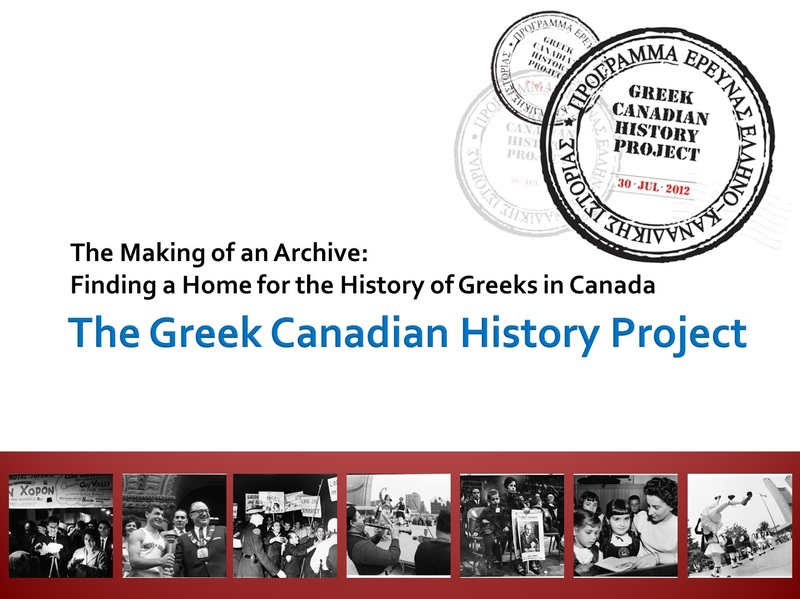 Greek Canadian History Project May 12-17 Exhibit Launch!